The looming walls of a peculiar castle jut out from the Hudson River as one approaches Beacon. 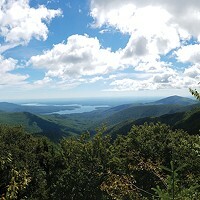 It’s the kind of vista that makes new visitors to the area sit up and say, Wait, what is that? 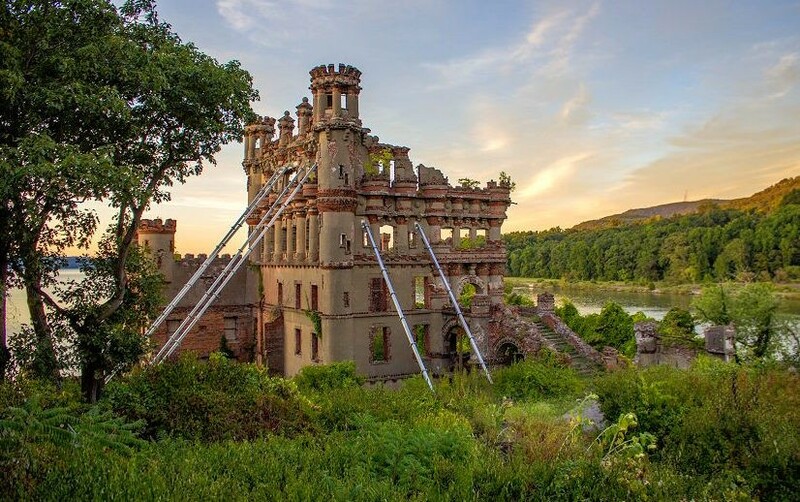 The structure, Bannerman Castle, sits on an island 500 meters off the coast with a history as varied and esoteric as the architecture it hosts. The island has been the home to pirates, prostitutes, and a weapons business magnate. Now in disrepair, with crumbling walls and braces supporting some remaining structures, Bannerman’s advocates want to reinvent the idiosyncratic site as a hub for local art, music, and theater. 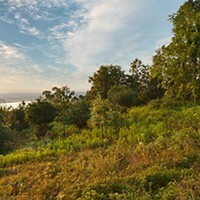 “When we get into the 16-, 17- and 1800s, this island becomes a very attractive magnet for prostitutes, bootleggers, and the like for around a hundred years,” said Wes Gottlock, a Bannerman tour coordinator and historian of the Hudson Valley, to a tour group in May. After a couple transitions, the island eventually fell into the hands of its eponymous owner: Francis Bannerman. One of the richest people in New York City, Bannerman was among the largest purveyors of military goods in the world. At the time he acquired the island, he had been storing ammunition, shells, and gunpowder—including 90 percent of the goods from the Spanish-American War—in warehouses in the city. His associates advised him to transfer his wares to a more isolated spot. So, he decided to use his black powder and dynamite to “blast a side of the island flat to begin building warehouses that would contain his goods—all in the form of Scottish baronial and Belgian castles,” said Gottlock. The remains of Bannerman’s various storage arsenals are just a fraction of the architecture that once inhabited the island. He had so many goods, it took 18 years to ship it all by barge from New York City to Bannerman Island and it ended requiring four large castles to store it. One of the more eventful anecdotes of Bannerman’s furtive history was the powder house explosion of 1920, which “created such a percussion it was heard from 75 miles up and down the river.” The impact was so powerful that it took a chunk of one of the buildings and blasted it 500 meters across the river and onto the train tracks near Beacon, stopping rail traffic for three days. Nobody was killed, but some nearby residents were checked into the local hospital for ruptured eardrums. After going into decline beginning in the 1950s, the Island eventually transferred into the hands of the Bannerman Trust, which currently holds the dead and organizes arts and culture events on the island between May and October every year, including musicals, plays, concerts, and movie screenings. “It’s very exciting the things that have happened on the island this last year, and this year we’re still doing it,” said Neil Caplan, Executive Director of the Bannerman Trust who told the tour group about the vast array of events happening on the island in the coming months. 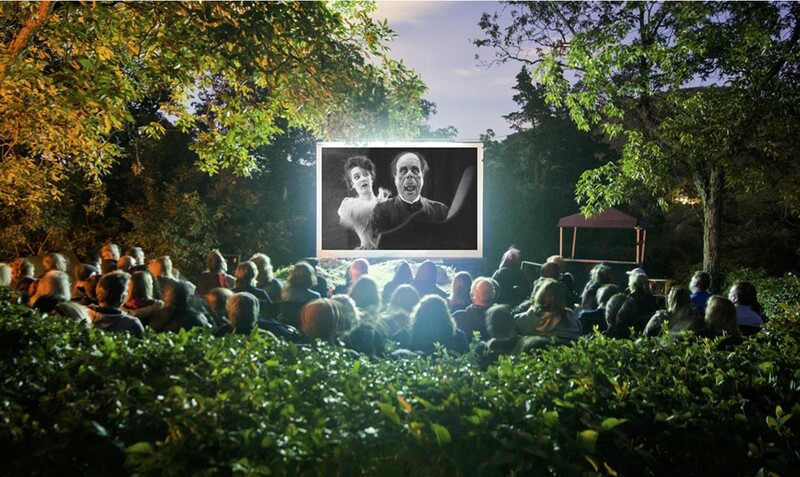 Bannerman will be screening several modern and classic movies throughout the summer. The first of these is Bill and Ted’s Excellent Adventure on June 9, which will feature a special pre-show video from Alex Winter, the star of Bill and Ted. See Bannerman’s full programming schedule. 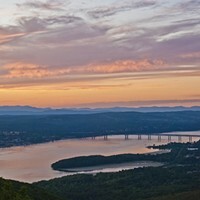 There will also be several performing arts events as well including “1776,” an award winning broadway musical about prominent revolutionary figures which has been described as a “funny, insightful, and compelling drama.” On July 28 and 29, the Hudson Valley Shakespeare Festival will perform an abridged staging of “Hamlet,” which will eschew political narratives in favor of a focus on “the idea of death and tragedy” in an “easy digestible production,” according to Laura Wilcox of Hudson Valley Shakespeare. 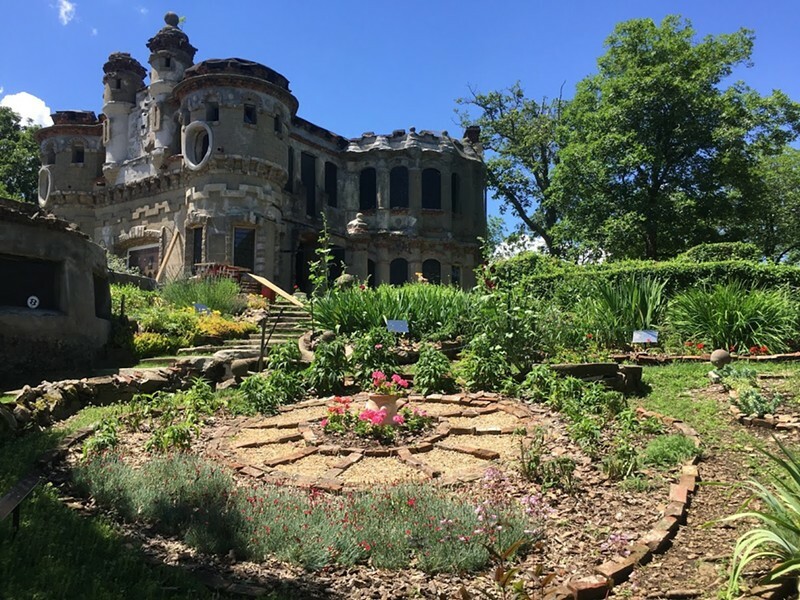 Additionally, Laurie Clarke, the Bannerman Gallery coordinator, announced that on June 2, 30 painters, both traditionalists and modernists, will flock to Bannerman Island to work. Visitors can go watch them paint and the following week, purchase the paintings at an auction at the Bannerman Gallery at 150 Main Street in Beacon. “This is our first time we’re doing something like this in a very long time, and we hope that people will come,” Clarke said.